Communicate confidently with Skype for Business features like secure text, voice, and video. Place calls to phones using VoIP or talk to friends and family who use Skype for personal use. Create powerful, interactive meeting spaces for users in your organization, and individuals who don't have Skype. Integrate Skype for Business with Microsoft Office 365 to schedule meetings through Microsoft Outlook and automatically update statuses and conversations based on Microsoft Outlook schedules. Give your employees the tools to communicate more effectively with internal instant messaging across your organization. Use Skype meetings to add voice and video communication to otherwise text conversations. Improve internal collaboration by utilizing screen-sharing capabilities, sending Skype meeting invites through Outlook, and starting Skype conversations directly through Office programs like Word and Excel. Schedule and conduct external meetings with ease thanks to Skype for Business and its integration with Outlook. Send Skype meeting invitations within Outlook and allow external users to enter meetings via Skype, the Skype Web App, or phone directly from the email invitation. Use screen sharing capabilities to present content to meeting attendees and utilize in-meeting chat to hold conversations apart from the voice conversation to avoid presentation interruptions. 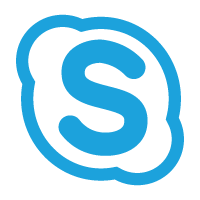 Schedule, produce, and broadcast meetings or events for up to 10,000 attendees using Skype Broadcast. Create meetings using the Meeting Broadcast portal where meetings can be saved and offered on demand after a meeting is complete. Use addience participation apps like Microsoft Pulse to keep attendees engaged and gather real-time statistics on how the event is going. Skype for Business is offered in a variety of Office 365 packages that take advantage of integration capabilities like scheduling Skype meetings in Outlook and starting Skype conversations directly from Office applications such as Word and Excel.